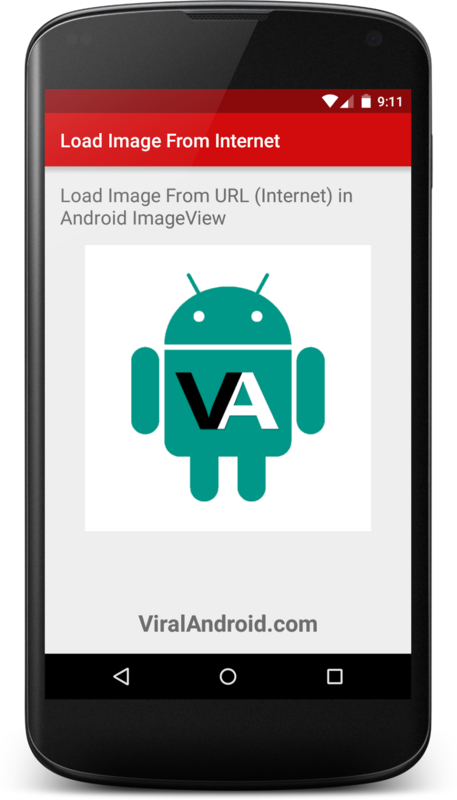 In this tutorial, you will learn to load image from internet (url) in android imageview. Image won’t load just by adding URL. To load image from internet, you have to know little bit java code. Here is the easiest way to load image in android ImageView from URL. This is the step by step guide to load image in android ImageView from URL/Internet. You can add any image URL instead of above. To load image from internet/url you have to add internet permission in your AndroidManifest.xml file. Now, run your application, your application looks like this.